SimpleTEXT in Wired News | JONAH BRUCKER-COHEN, PH.D. SimpleTEXT in Wired News – JONAH BRUCKER-COHEN, PH.D. This article on our SimpleTEXT show at NYU came out in WIRED News today! Read up! Powered by inkzine Theme. © 2019 JONAH BRUCKER-COHEN, PH.D.. All Rights Reserved. 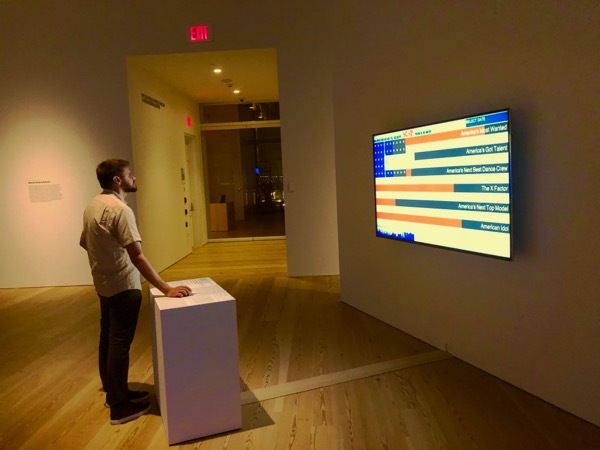 Our artwork, “America’s Got No Talent“, is on display now through April 14, 2019 as part of the exhibition “Programmed: Rules, Codes, and Choreographies in Art, 1965–2018” at the Whitney Museum of American Art in New York City.